WASHINGTON (Reuters) - Tesla Inc Chief Executive Elon Musk's decision to abruptly abandon a plan to take his electric carmaker private will not resolve his mounting regulatory and legal woes, and may even make them worse, some securities lawyers said. 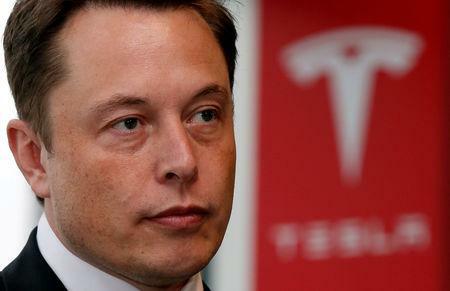 Musk and Tesla are facing investor lawsuits and a U.S. Securities and Exchange Commission investigation into the truthfulness of the CEO'S Aug. 7 tweets, according to an Aug. 8 report by the Wall Street Journal. Teresa Goody, CEO of law firm Goody Counsel and a former SEC attorney, said Musk's statement on Friday appeared to undermine his Aug. 7 tweet that investor support was confirmed. Another statement in the blog that could catch the eye of SEC officials is Musk's reference to his discussion with Tesla's board on Thursday, during which both parties decided not to pursue the deal, said M. Ridgway Barker, a partner and chair of the corporate finance practice at law firm Withersworldwide.